Why not plan with us? Fresh delicious food that everyone likes and great service. 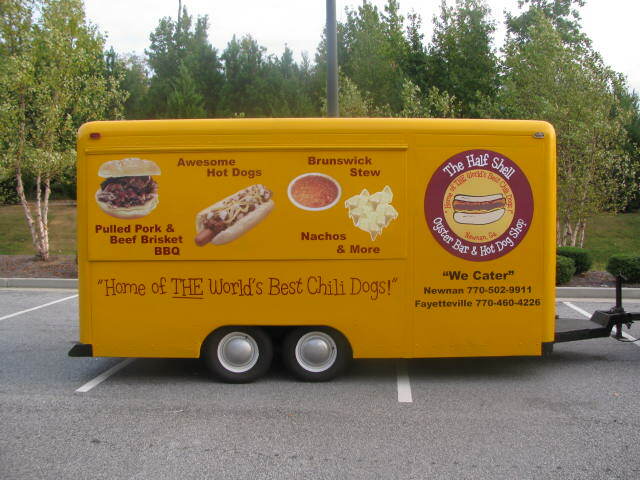 We specialize in concessions, fundraisers, company events, parties, birthdays, church events and more. We offer catering for nearly any size event and we can do it outdoors too. We offer a great variety of entrees and sides along with a selection of drinks. Listed are some of the option we like to offer to you. Interested? Call us. The Hot Dogs at The Half Shell are the best you’ll find anywhere. 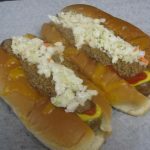 The lean, perfectly seasoned dog is prepared in a steamer so that the wiener doesn’t absorb any grease or fat at the same time keeping its flavor and moistness. These great tasting dogs are served on a hot steamed bun and can be ordered “Naked” or topped with your favorite toppings. Some of these toppings are Kraut, Relish, Cheese, Jalapenoes, Chow Chow, etc. 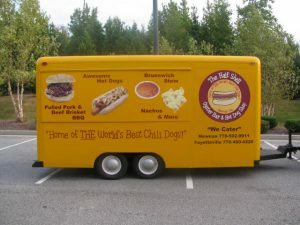 They offer several specialty dogs such as a Chicago, New York, Tex Mex or Stew Dog. However they are best known for their homemade chili and slaw. 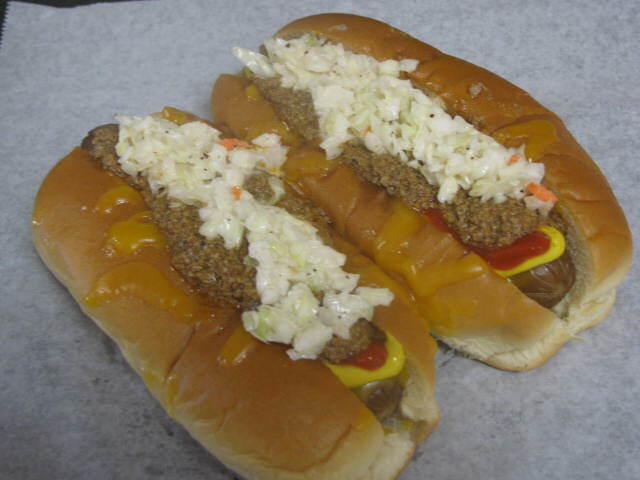 A customer favorite is their House Specialty, The Half Shell Dog, which is topped with Chili, Cheese and Slaw. 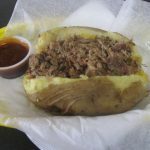 pulled bbq is seasoned and smoked to perfection. It is so good that bbq sauce isn’t needed or applied. We do have 3 great bbq sauces available for you to choose and apply including their House BBQ Sauce. The bottle doesn’t lie when it says; “Great on Anything”. 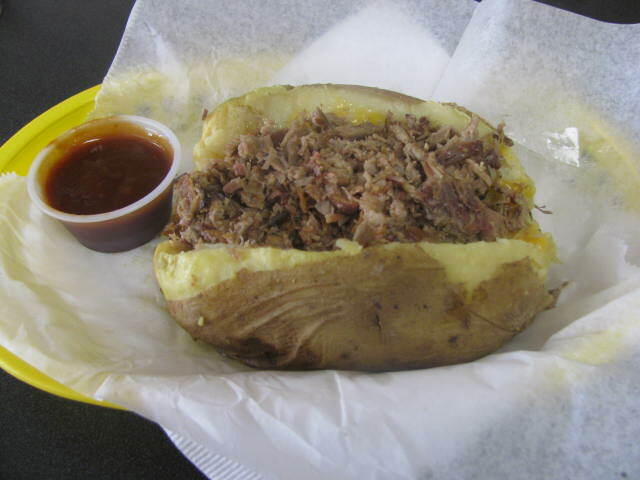 This awesome bbq is available on a Jumbo Sandwich, BBQ Plate, Loaded Baked Potato, Nacho’s, or Fresh Salad. The Half Shell Seafood is Fresh from The Gulf and the BEST you’ll find anywhere!! The Fried Shrimp, Scallops, Oysters and Catfish are lightly battered and perfectly fried. If you can’t decide on one, then choose a combo with 2 choices or a Seafood Platter that has it all. Served with 2 sides and choice of hushpuppy or roll. The Seasoned & Seamed Shrimp and Fresh Louisiana Crawfish(Seasonal) are always a favorite. The Owners Favorite is The LA (Lower Alabama) Country Boil. This delicious dish is served with Corn, Potato’s, Sausage, Onions and Jumbo Shrimp. It’s how The Half Shell got it’s name and boy do they Live Up to It!! 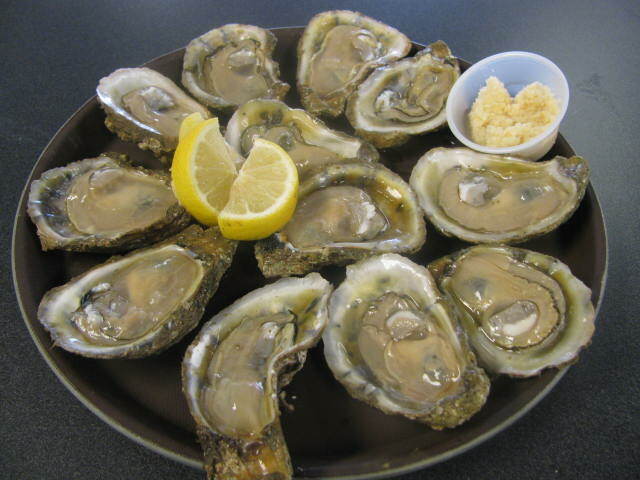 The Half Shell sales Fresh Gulf Oysters, shucked to order, never frozen or farmed raised. There is a difference and once you try these, you will think you at the beach because they are so Fresh and Tasty. They are the best around and shipped in 2-3 days a week to ensure freshness and quality. 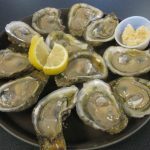 These oysters are sold: Lightly Battered and Fried; Raw (On the Half Shell) or Baked with your favorite toppings such as spinach, bacon, cheese, onions and jalapenoes. Topped with The Half Shell’s Homemade Tarter or Cocktail Sauce and you won’t be disappointed. For parties and events, The Half Shell also sales Boxes of Oysters (30 lbs; approx. 8-10 doz; washed and ready to shuck) and a Gallon of Shucked Oysters(MKT Price) ( 5 lbs; approx 8-10 doz).